on a journey to the past. 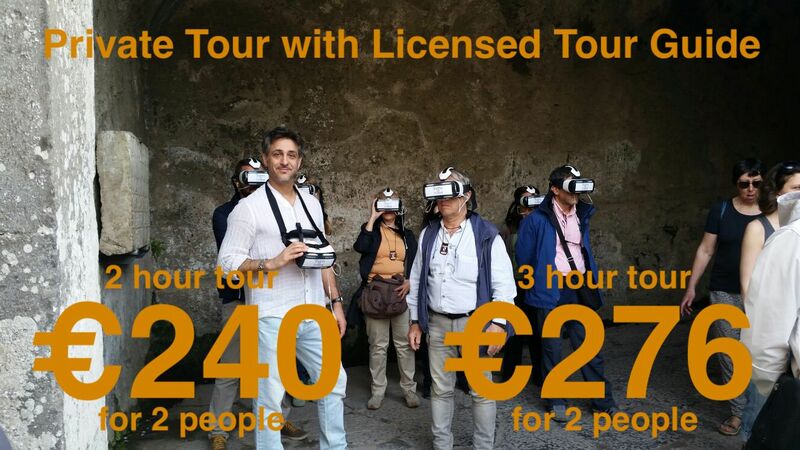 On your private tour with us your local guide and virtual reality headsets will show you Pompeii like it's never been seen before... until now. The streets, temples, theaters, markets, shops and homes come back to life right before your eyes as various scenes unfold around you in 3D and in 360°. Look up, down, left, right and behind and become witness to ancient Pompeii as it once was. Historical commentary & music inside your VR headset accompany what you are seeing. You'll have your own private licensed guide, an expert in archaeology and Roman history on hand to answer your questions and explain to you the unique & fascinating history of Pompeii. 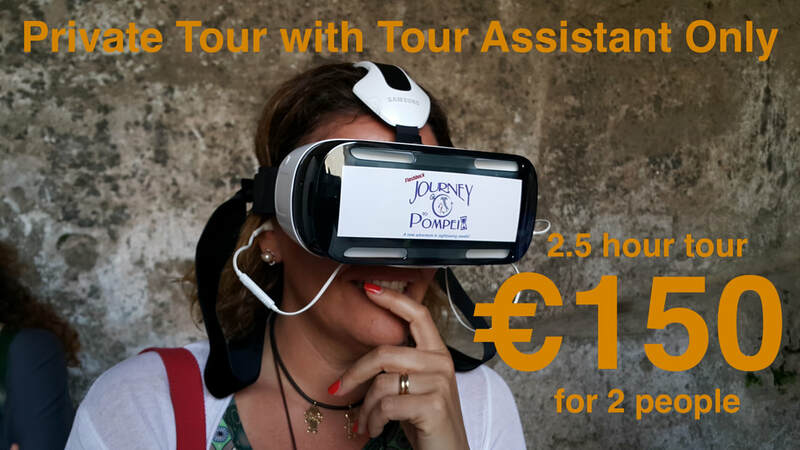 At key points throughout your tour you will put on your VR headset and travel back in time, 2,000 years. You will be immersed in a 360°, 3D world of ancient Pompeii. You will be connected to the past in a way you've never imagined. Come time-travel with us! Voted 5 stars on TripAdvisor. Come join the adventure and take a journey to the past with us! ​See you in Pompeii, Italy!